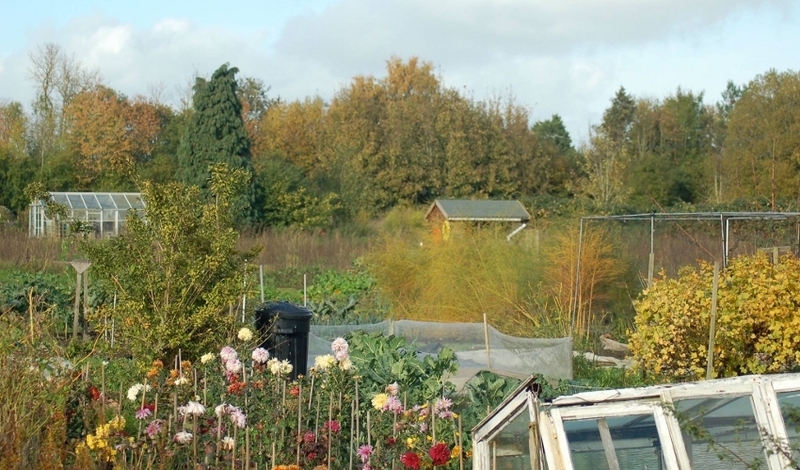 The allotments in Hinton Waldrist are on land owned by Guy’s and St Thomas’ Charity. Recently, this charity has been exploring ways to better capitalise on its property portfolio, and instructed its property agent Smiths Gore to prepare an outline plan that called for the building of 28 houses on the site that is currently occupied by the allotments. This plan allowed for continued usage of part of the site for allotments, but in a different and less desirable position. Not surprisingly, allotment holders have raised strong objections to the outline plan. The Allotment Society held a short meeting this morning to discuss the current situation regarding the allotments. Members were concerned about the increases in rent and the future maintenance of the allotments. Email replies from Smiths Gore indicated that the Charity’s purpose was to maximise income for the hospitals and that there would be no reductions in rents. A new Clause 8 has been introduced into the new licences which requires the licencee to pay an additional sum (“a fair proportion”) towards the upkeep of common areas. Common areas are not defined, nor what constitutes a fair proportion. Members therefore agreed to strike out this clause when they renew their licences. Members agreed to continue the society’s membership of the national allotment society – a nominal fee of £2 per person is required in the spring of 2015. It was considered that future meetings would be held to discuss any important matters arising, with perhaps an AGM in spring and an event in the autumn when members could promote a Harvest Festival buffet (with a produce competition?). It was thought that members should offer spare seeds or plants to other members as often there are too many seeds in a pack or too many plants germinate. An update of the possible housing development was provided. One query that has been resolved is that the sale of the Hinton Manor land (some 1100 acres) in 1943 did not have a restriction on building on the allotment site. The VoWHDC has now published its Local Plan-Part 1 for up to 2031. This plan indicates where the Vale would like to see future development go (mainly in the towns and large villages). “Non-serviced” villages, such as Hinton Waldrist, did not have any major developments suggested. Part 2 is yet to be published and this might set out where smaller developments might take place. An update on possible future housing would be considered at the next parish council meeting on 2 December. Members whose licences have become due for renewal have struck out paragraph 8 before returning their licences but this has not been well received by Smiths Gore. Peter Evans and others are still in discussion with Smiths Gore over this paragraph and its meaning and are seeking a solution.